Aaron Cutler has lived on the South Shore for most of his life. 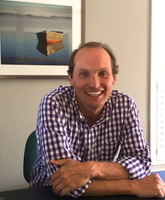 He grew up in Hingham and moved back with his family in 2003, later living in Cohasset before moving to Scituate, where he now resides with his wife and three children. Aaron has owned and operated Petro Realty, a commercial real estate brokerage specializing in gas stations, for the past decade. He also owns and manages several commercial properties. He attended the University of Colorado for his undergraduate degree and received a Masters in Business Administration from Babson College. Aaron created Planter Hill Properties with the belief that his commercial real estate expertise would translate well into the residential real estate world. He has extensive experience negotiating complex and diverse real estate transactions. He uses this experience and training, along with his intimate knowledge of the South Shore, to help buyers and sellers achieve their goals.